I took another Filippi, with the right shoe size this time. The downside was a very heavily rigged pair of Croker sculls. Croker is OK, but I wasn’t comfortable with the heavy rig. But we were under time pressure and I was on a borrowed boat, so I didn’t change the inboard or oar length. Just got on with it. I was joining the boys (15/16 year olds) with their final session of the camp. 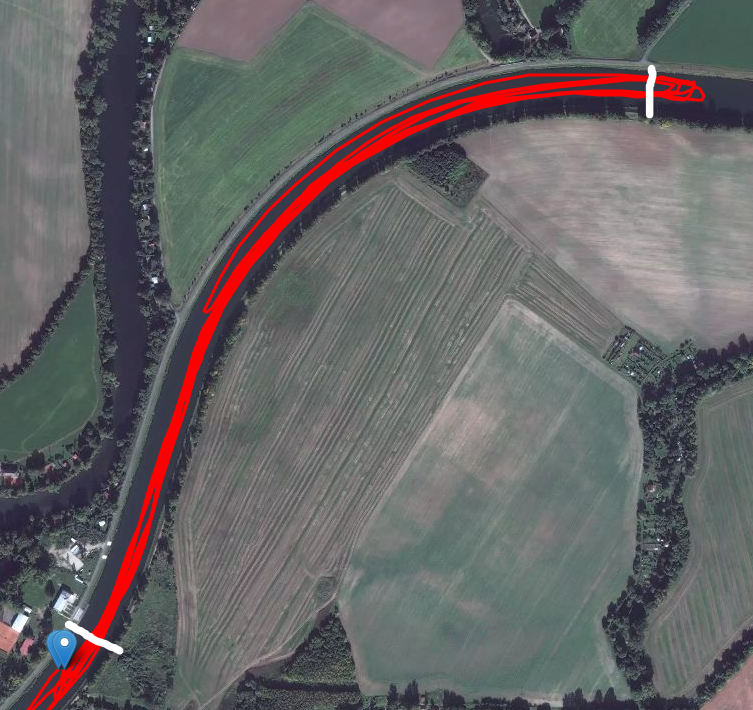 We met a little earlier than what I considered to be the 2000m point, but Jakub stopped us at the 969th kilometer (measured from the mouth of this river Elbe at Hamburg) which was 1300m from the finish. I didn’t mind too much. Here’s the summary, noting that this was rowed downstream so the pace values are flattering. Also, I think my Polar OH1 heart rate arm band moved after interval 02 and the heart rate values are unreliable for the two final races. So we spent nearly two hours on the water rowing four five minute sprints. Yes, but it was fun! It was especially fun because my son Dominik (pictured above) was starting 30 seconds before me, so there was a little family prestige thing going on here. I beat Dominik with margins of 5 to 15 seconds. Still, I find it amazing given that he is 40 seconds slower than I am on the 2k erg. Of course, he is 15 kg lighter than I am and he has the musculature of a strong 14 year old. 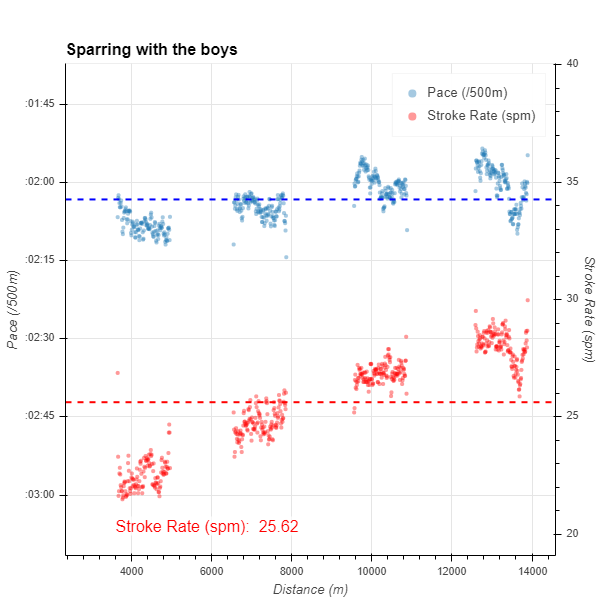 It would have been great to compare power and stroke average force if we had power meters. I chatted to Dominik’s trainer after the session, and he told me bluntly that Dominik has better technique. That’s his explanation. It hurt a little, but he gave me some good technique feedback so I guess I have to put my pride aside and start working on some of the flaws he saw. After the session we had an hour to prepare the boats for transport. We went for a quick lunch, and then I towed the trailer back to Brno, which is a two hour drive. I was pretty exhausted at the end of the day.